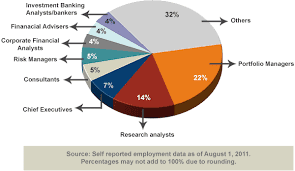 Articles: CFA Training for Banking & Finance Industry Program for Everyone !!! 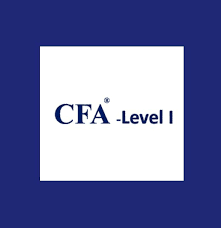 The Chartered Financial Analyst� (CFA�) programme is a professional credential offered internationally by US based CFA Institute (formerly known as the Association for Investment Management and Research, or AIMR). The CFA� charter is a qualification for finance and investment professionals, particularly in the fields of investment management and financial analysis of stocks, bonds and their derivative assets. The programme focuses on portfolio management, financial analysis and provides generalist knowledge of finance. 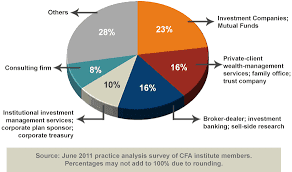 The Chartered Financial Analyst� (CFA�) credential has become the most respected and recognised investment designation in the world. The CFA� Programme curriculum covers concepts and skills you will use at all stages of your career, bridging academic theories, current industry practices and ethical and professional standards to provide a strong foundation of advanced investment analysis and real-world portfolio management skills. Earning the CFA� Programme charter places you in the company of an elite group of more than 90,000 respected investment professionals. Access to their collective expertise, networks and resources is an invaluable asset. Regulatory bodies in 19 countries recognise the CFA� charter as a proxy for meeting certain licensing requirements. More than 125 distinguished colleges and universities around the world have incorporated a majority of the CFA� programme curriculum into their own courses, including the University of Oxford’s Said Business School; New York University; INSEAD; Peking University and Nanyang Technological University. Employment Prospects: The CFA� programme equips you with the practical and fundamental knowledge you need for a wide variety of career choices in the investment profession. CFA� charterholders find that earning the CFA� charter provides them with a passport for working within numerous investment specialties and markets across the globe. It also equips them to change specialties as their careers evolve. The Level I study programme emphasises on tools and includes an introduction to asset valuation, financial reporting,financial analysis and portfolio management techniques. Programme Curriculum and their Weightage: Ethical and Professional Standards - 15%, Quantitative Methods - 12%, Economics - 10%, Financial Reporting and Analysis - 20%, Corporate Finance - 7%, Equity Investments - 10%, Portfolio Management and Wealth Planning - 7%, Fixed Income - 10%, Derivatives - 5%, Alternative Investments - 4%. Exam Format: 240 total multiple choice questions (120 in the morning session and 120 in the afternoon session). Each multiple choice question is free-standing (not dependent on other questions) and has three possible answers: A, B, and C. All questions are equally weighted and there is no penalty for guessing. Level I can be taken in June and December. ICICIdirect Centre for Financial Learning Advantage: ICFL provides an integrated approach to Level I CFA� Charter exam with a complete preparation package. Unit-wise mock tests: An online repository of 10 unit-wise mock tests (1100 Questions) for additional practice. Each mock test consists of more than 100 questions.